For a cupcake throw down challenged by my very own husband, I knew I had to up my game because he's not only good at everything, the kitchen is his turf...usually. 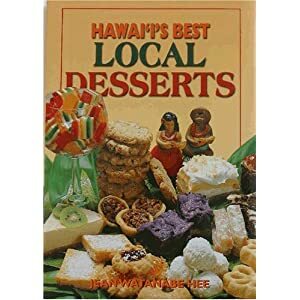 I ate a haupia cake at Zippy's when we were in Maui a month ago and I remember telling Jackie, "I HAVE to learn how to make this filling! I could drink it!" So when I had to come up with a kicked up classic flavor, I decided on coconut and to kick it up with the haupia filling. It was sooo good it actually won the throw down for me. The whipped cream frosting kept this delicate cake super light and refreshing...especially for a cupcake. Preheat oven to 350 degrees. Put cake mix, coconut milk, water and eggs into a large mixing bowl. Mix well and fill cupcake pan. Bake for 20 minutes. Cool cupcakes. In a sauce pan heat coconut milk (do not boil). Mix sugar, salt, and cornstarch with water; stir into hot coconut milk. Cook, stirring constantly, until mixture thickens (cook over low heat to avoid curdling). Stir in vanilla and cool. Soften gelatin in 1/3 cup coconut milk; dissolve over hot water. Whip cream; fold in gelatin mixture and sugar. Use cone method to create cavity for filling in cakes. Fill cavity with about a tablespoon of filling. Put cake cap back on. Chill for 30 minutes to set filling. Top with generous dollop of whipped cream frosting. These were yummy. Everyone loved them. Takes some work, but they are well worth the effort! How many cupcakes does this one batch make?